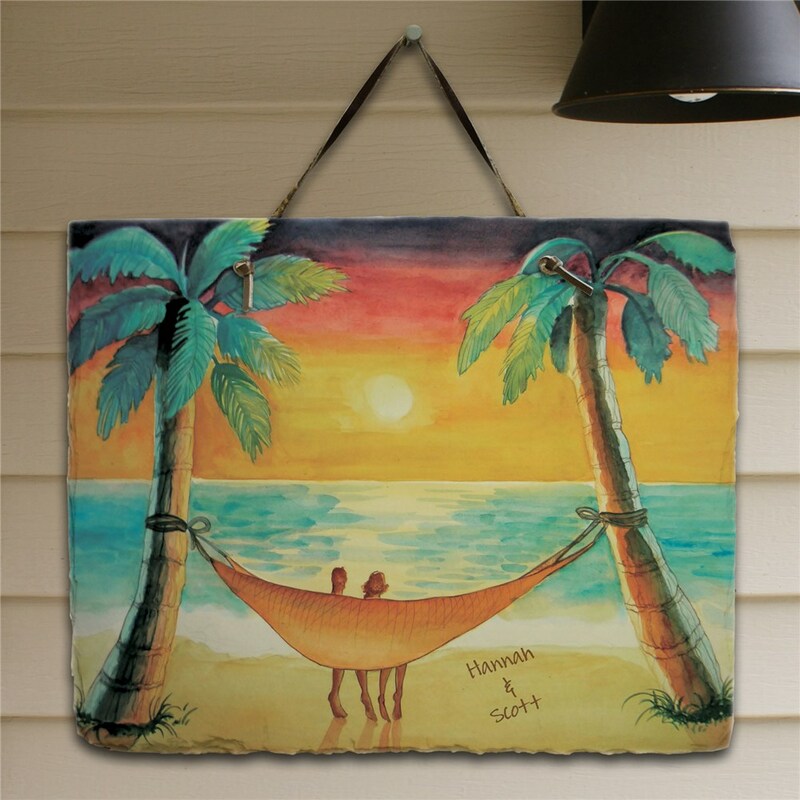 Our Beach Sunset Personalized Welcome Signs are sure to show off to everyone who enters your home how much love you have for one another. These Personalized Slate Signs make a lovely Valentine’s Day, Sweetest Day or even an Anniversary gift idea.Your Personalized Couples Natural Slate Plaque measures 11.5" W x 9" H. Each natural slate plaque arrives with a leather strap for wall hanging. 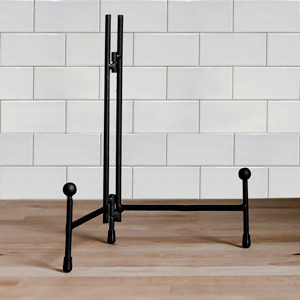 Includes FREE Personalization! Personalize your slate plaque with any couples names. I love the slate plaque! It was just as pictured and our names look like they were written in the sand. I am very glad I ordered it. Shop GiftsForYouNow.com for all of your Personalized Couples Gifts. 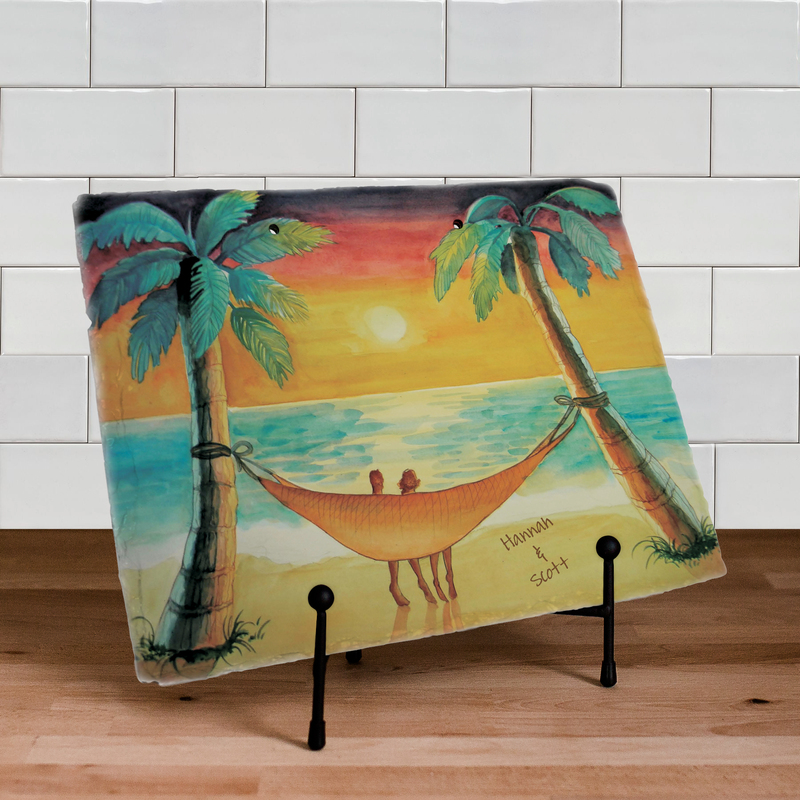 Browse through our collection and also see our Personalized Beach Sunset Throw Blanket and our Beach Sunset Welcome Doormat as well.